Vintage and expensive bejeweled frames are making way into designers going out of the way in incorporating real gemstones into gold and platinum frames. From Ogani, Cartier and Fred and Dolce and Gabbana we have a lot of most expensive designer costliest frames available in 24 Carat Gold and Platinum studded with real diamonds and gemstones . Firmoo.com has a variety of bejewelled designer frames and rimless glasses. 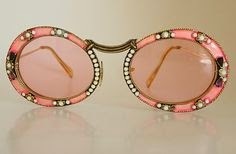 Then the offers on ebay,a lovely bejewelled framed glasses, awesum! Gemstones and unique bejeweled eye wear is another way to make a style statement. Not only looks great but also adds a lot of value to your face! 1) Choose from only the best / reputed designer specs and frames as they have proper guidelines and instructions for caring and wearing of your spectacles. 2) Keep the spectacle in case after every use carefully. 3) Wipe only with the soft cloth given along and never use hash rough surfaced materials to clean your bejeweled spectacles. 4) Always wear you unique spectacle with hair neatly tied or in proper place, with frizzy unruly open hair you risk damaging your spectacles and there is also risk of falling off of your eye wear. 5) Whenever getting ready for any function or occasion always apply make up before wearing the glasses. Ingredients in your make up may react tot eh materials and gemstones of your spectacles. In case you are alone to do your make up and just can't do with out wearing your frames, try to avoid direct contact of cosmetics with your bejeweled frame. 6) Just like any gemstone jewelry you have to take precautions with your gemstone bejeweled spectacles. Avoid rain water, splash of wine and other drinks, and mud splashes. 7) Always store in proper case with cushioning and in dry cool place. 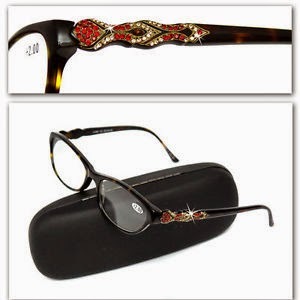 8) Never keep your gold or platinum diamond studded spectacles after use directly into the case. 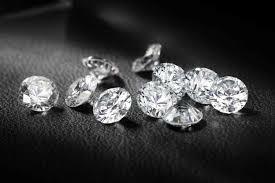 Sweat, grime, and make up all have a tendency to react with metals ,especially after storing them for long time. Wipe them with soft cloth , and liquid cleaner given along , dry them well and then store them for next use. All the Best from Rizwana! Enjoy!